Summary: The appearance of Paul before Gallio is important in two respects. First, it established a precedent for the manner in which the Roman leaders should consider charges against Christians brought before them. Second, the mention of Gallio..
13 Saying, This fellow persuadeth men to worship contrary to the law. The appearance of Paul before Gallio is of particular importance in two respects. First, it established a precedent for the manner in which the Roman leaders should consider charges against Christians brought before them. Second, the mention of Gallio is an important reference point for determining the date of Paul’s work in Corinth and for establishing the entire Pauline chronology. We should begin with Gallio, because there is a great deal known about him from literary sources and from inscriptions. Gallio had influential connections in Rome. Marcus Annaeus Novatus, as he was first called, was born in Cordova Spain and came to Rome with his father when Tiberius was on the throne. In Rome he was adopted into the family of his father’s friend Lucius Junius Gallio, and took the name of his adoptive father (he was now Lucius Junius Gallio Annaeus). His father was the son of Seneca the orator, and his brothers were Lucius Seneca, Nero’s tutor and Mela, the father of Lucan the poet. Dr. Luke shared only one example of divine protection during Paul’s ministry in Corinth (Acts 18:12-17), but it was a significant one. 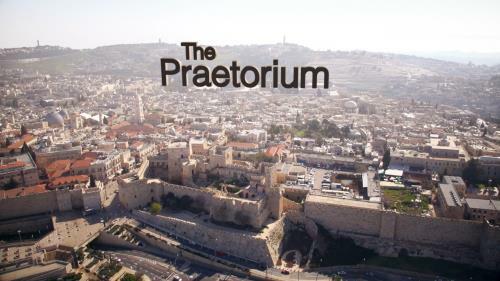 The arrival of a new proconsul gave the unbelieving Jews hope that Rome might declare this new “Christian sect” illegal. They broke the law by attacking Paul and forcing him to go to court. 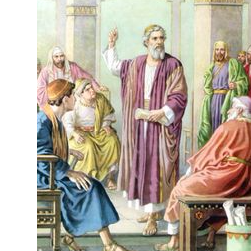 This was not the first time that fanatical Jews had tried to prove that Paul was breaking the Roman law (Acts 16:19-24; 17:6-7). Gallio’s service in Corinth occurred during the proconsular period of his career. Achaia at this time was a second rank province, and these were under the supervision of the Senate and were administered by proconsuls. Generally in this region proconsuls served a one-year term, two at the most; and his tenure seems to have begun in the early summer. An inscription discovered at Delphi, which relates to the dedication of an aqueduct, mentions Gallio as being proconsul of Achaia and dates this during the period of Claudius’s twenty-sixth acclamation as emperor. Such “acclamations” were made by the Roman senate at irregular intervals as affirmations of an emperor’s rule. On the basis of other inscriptions, Claudius’s twenty-sixth acclamation can be dated as covering the first seven months or so of A.D. 52. On this basis he is assumed as having begun his office in the summer of either A.D. 51 or A.D. 52. If one assumes that Gallio served the maximum two-year term, his tenure would have ended in summer of A.D. 54 at the latest. Putting this together with the date of Claudius’s edict, Paul’s 18 months in Corinth would have occurred sometime between winter of A.D. 49/50 and summer of A.D. 54; he stayed, knowing that God was with him and that people would be saved. During those 18 months of witness, Paul saw many victories in spite of Satan’s opposition. Most interpreters are inclined to see Gallio as having the more usual one-year tenure and Paul as having appeared before him during the early days of his term of office. This would place Paul’s Corinthian ministry roughly between early 50 and late 52. The divine promise that none would harm him had a notable fulfillment while Gallio was proconsul of Achaia (all of Greece south of Macedonia). It was soon after Gallio’s appointment that the Corinthian Jews made their move against Paul—they instigated a riot and brought Paul before Gallio’s judgment seat, accusing the evangelist of propagating a religion that was contrary to the Roman law. Evidently they considered the time was now right to take legal action against Christianity and to embroil Paul with the authorities. The pleasant and charming Gallio, a man whose attractive personality had helped carry him successfully through life, must have seemed an easy mark to the crafty Jews, or they may have been banking on his inexperience. Gallio had come to Acadia having only been a praetor and not yet a consul, the senior Roman magistrate, and in any case, he may have only recently arrived and would for that reason be eager to please his petitioners. They miscalculated badly, however, mistaking Gallio’s cordiality and general amiability for weakness. Under the false impression that Gallio was a pushover, they banded together, rose up against Paul in a body, and had him dragged before Gallio as a lawbreaker. The appearance of Paul before Gallio is important in two respects. First, it established a precedent for the manner in which the Roman leaders should consider charges against Christians brought before them. Second, the mention of Gallio..